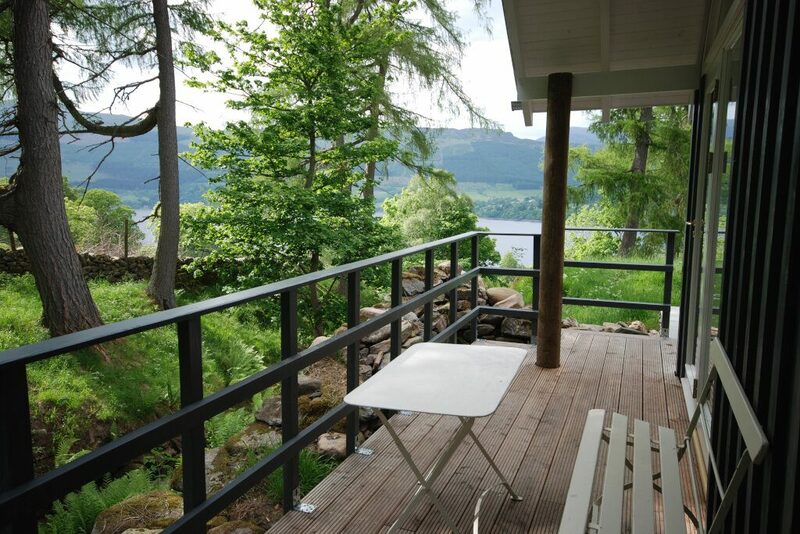 Waterfall Cottage is a luxury cottage for two people with private hot tub, nestled into the hills overlooking Loch Tay with a beautiful bubbling stream, waterfall and breathtaking views of the water and the surrounding scenery. 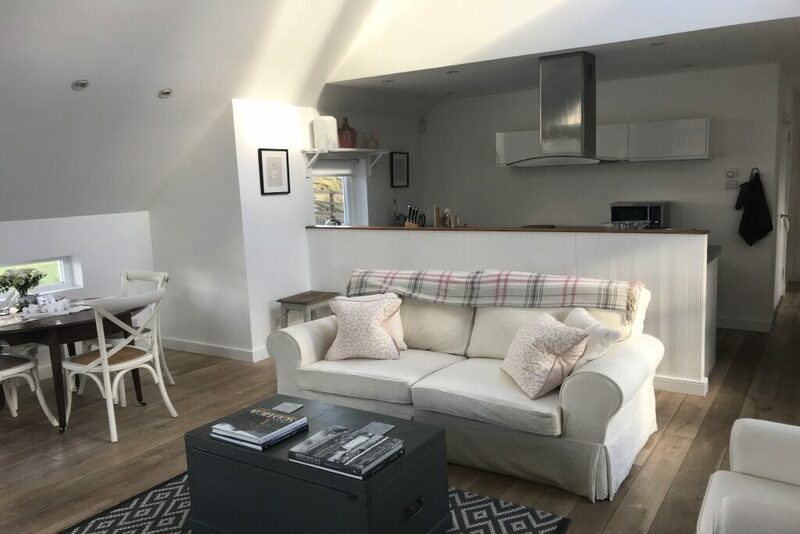 Situated just 2 miles west of the charming conservation village of Kenmore, in Highland Perthshire, this lovely semi detached cottage offers exceptionally comfortable and luxurious accommodation for couples looking for a special treat. The large king bedroom is made up with crisp white Egyptian cotton bed sheets on arrival and there's a lovely ensuite bathroom with under-floor heating and shower and bath. 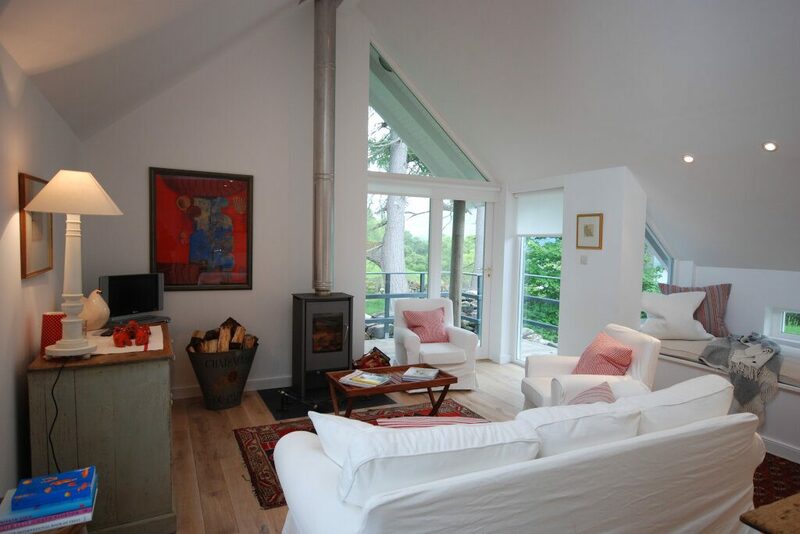 The living room has a log burning stove, comfortable sofa and chairs, cushions and throws. 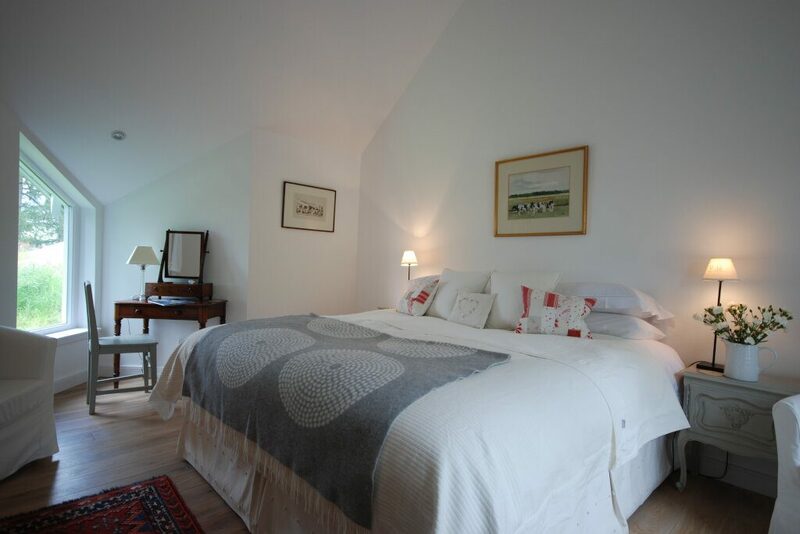 There is wifi, a flat screen TV, DVD player and hi-fi, plus plenty of books and DVDs. 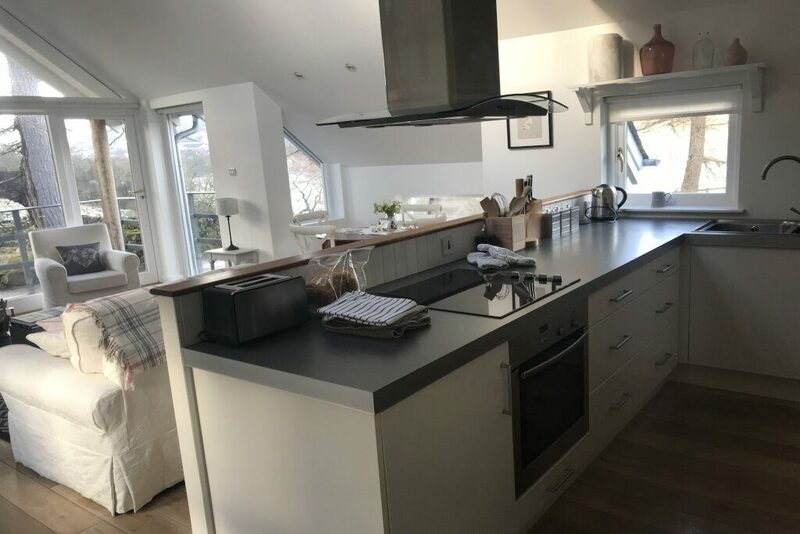 The kitchen is equipped with all the modern conveniences you require for your stay! The cottage has a hoover, a washing machine and drying rack, ironing board and iron. 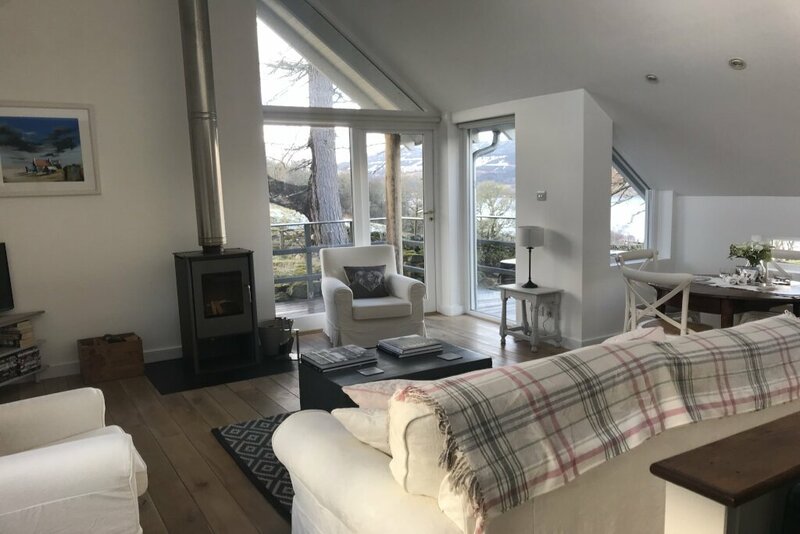 Set amidst 50 acres of private woodland and wild meadow with frontage onto the loch, the cottage is the ideal place for a romantic weekend break, a honeymoon, a mid week getaway or a longer stay and the opportunity to really chill out. 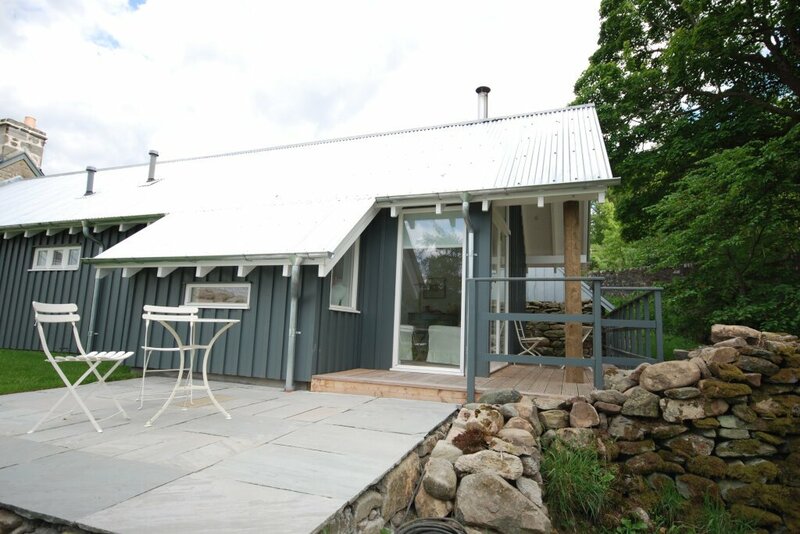 Tucked away into the hills above Loch Tay, close to a bubbling stream and waterfall with beautiful views, this cottage is perfect for couples looking for a cosy retreat and some peace and quiet! Located on the eastern shore of Loch Tay near the village of Kenmore, The Waterfall Cottage is situated a short distance from several great restaurants, shops and bars. Waterfall Cottage is beautiful. 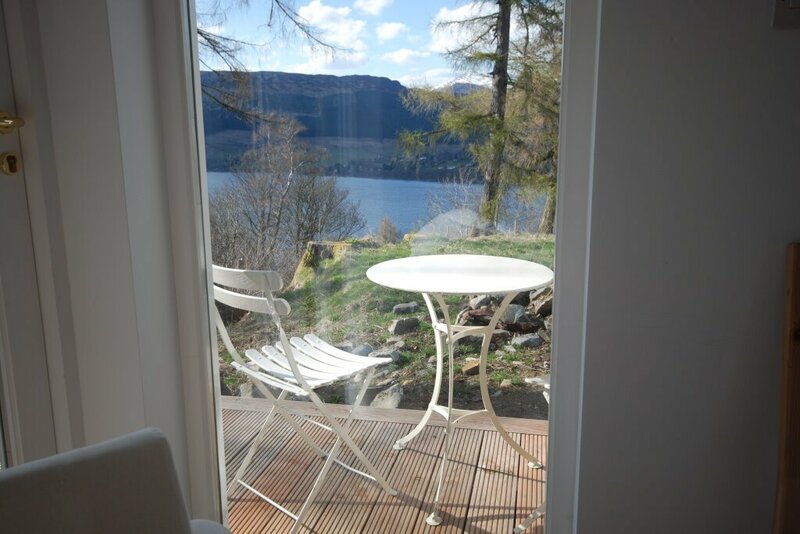 The location over looking Loch Tay surrounded by mature trees and abundant wildlife including Red Squirrels is devine. 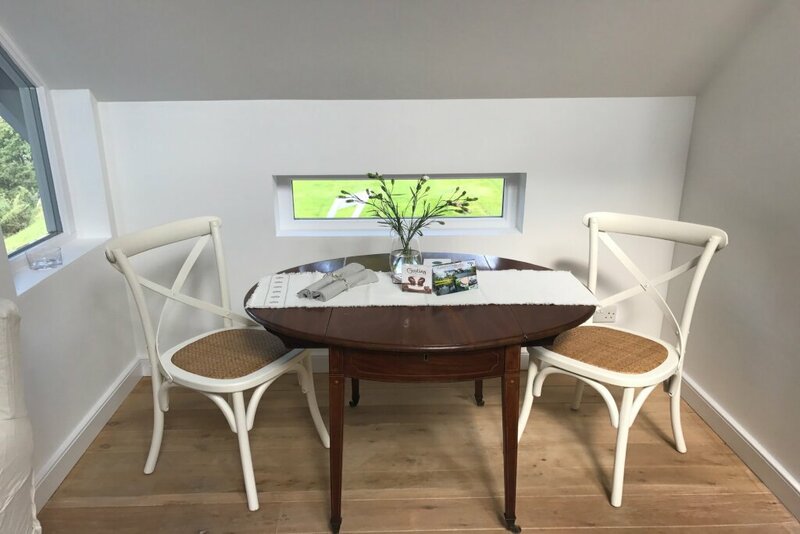 The cottage itself is very well appointed with a bright, light contemporary feel. 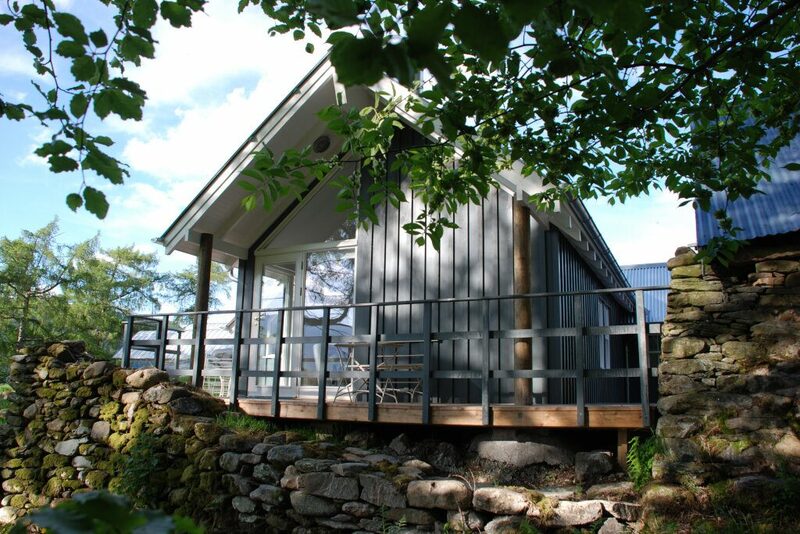 There is nothing not to love about Waterfall Cottage. Highly recommended! 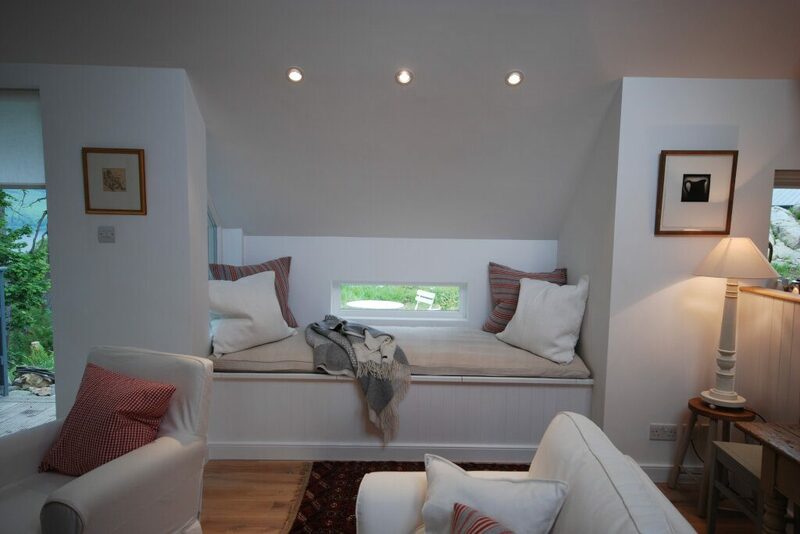 This cottage is something else! Just beautiful inside & out! 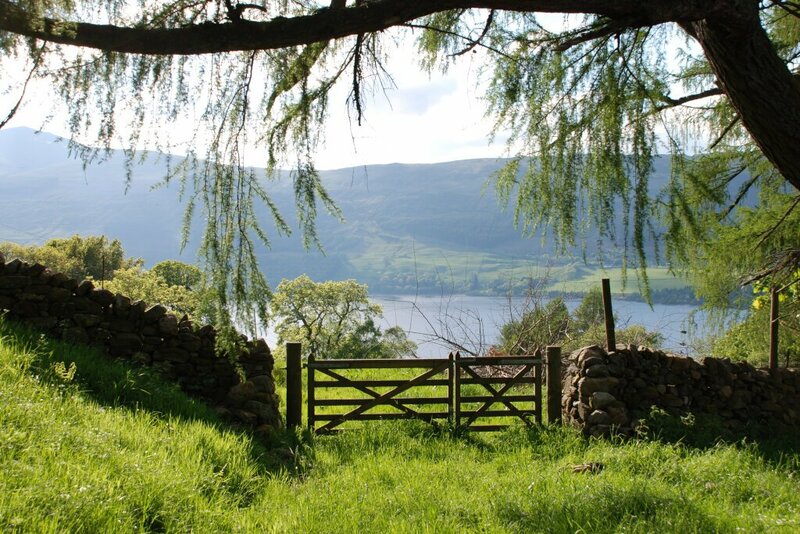 The cottage is surrounded by countryside, nature and the views over the loch are stunning! The extra touches are lovely & so very thoughtful: prosecco & chocolates! 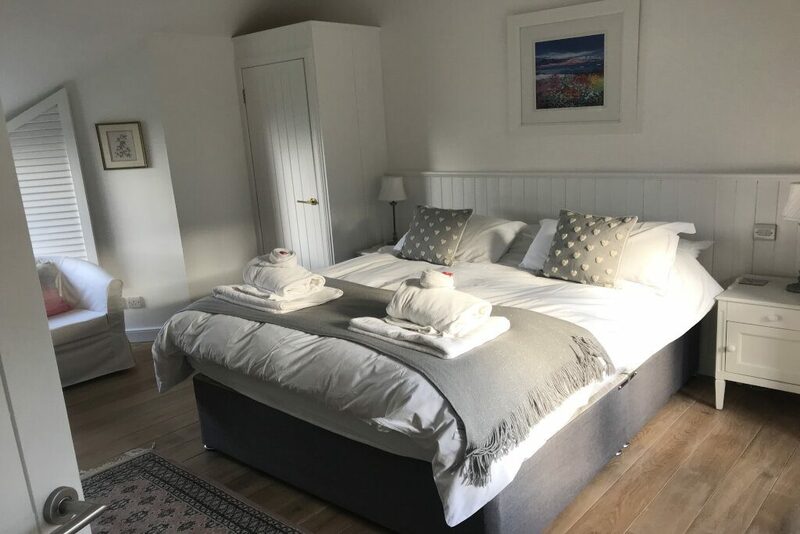 The cottage has everything you need, the kitchen is well equipped, the views out are just wonderful and the bathroom & bedroom are luxurious! Myself & my wife loved the peaceful location and coming back to such a luxurious cottage after a days hiking/cycling was just wonderful! Waterfall cottage is fantastic, it lives up the the amazing photos and is just as spectacular in person. It’s an ideal spacious size for a couples holiday and the hot tub is the best bonus. My girlfriend and I already want to come back again sometime soon! Would thoroughly recommend staying here!